Cultured with lactic acid bacteria for flavor and thickness. 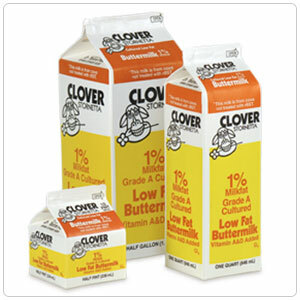 Buttermilk is neither buttery or high in fat because it does not contain any butter and lower in fat than sweet milk. It is slightly thicker in texture than milk, and not as heavy as cream.